Tired of Tinder? Bored with Bumble? 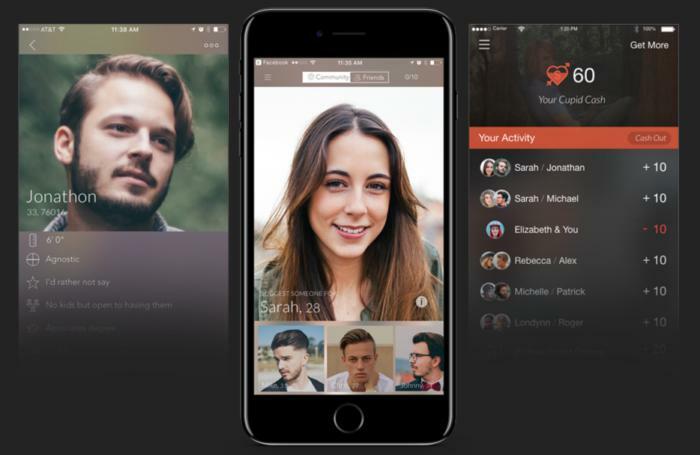 Luckily for you, there’s a new crop of iOS dating apps that might help you score a last-minute date this Valentine’s Day—or at least give you some much-needed amusement to get through another Singles Awareness Day. While matching and swiping has become the law of the land when it comes to online dating, these new apps take a slightly different approach. 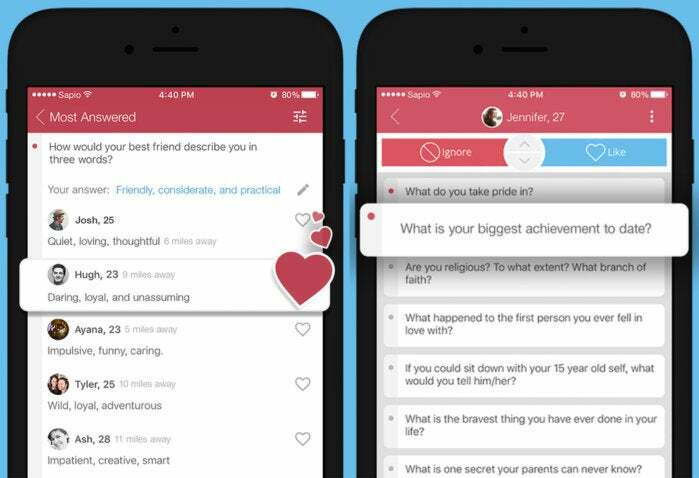 Here are the dating apps vying to help you find love in quirky new ways. 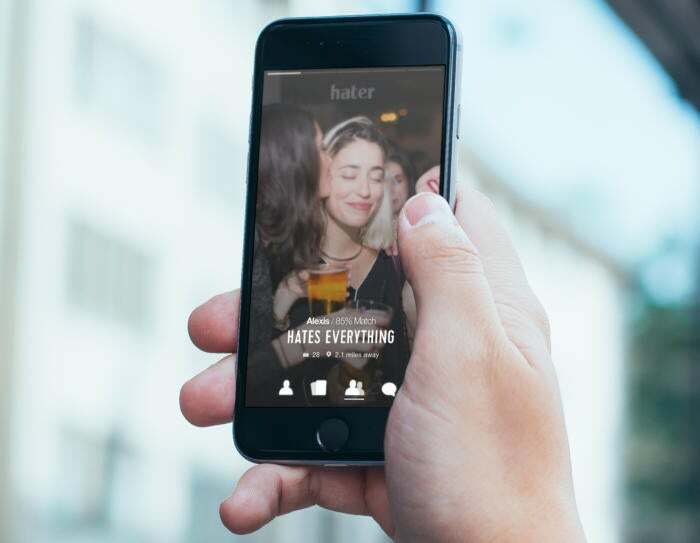 Haters gonna hate, so why not have an app that’s going to help them date as well. While we tend to think compatibility comes from having shared likes, Hater (iTunes) leverages the power of shared dislikes to make a connection. Yep, this app will match you with someone who hates the same things you do, whether that happens to be turnips or Trump. Hater relies on users swiping, too, but instead of swiping profiles you get to swipe on a list of topics. The app then uses this information to find matches that loved, liked, or hated the same things. You can then use some of the “edgy icebreakers” to start a conversation with your fellow hater. Hater CEO Brendan Alper thinks that being upfront about what we hate gives a more honest depictions or ourselves, and thus a better metric to gauge whether two people are compatible. If it sounds a little too negative for you, fear not. There’s one type of hate that Hater does not accept and that’s hate speech, especially directed towards a particular race, religion,= or body type. You might be a sapiosexual and not even know it. According to Urban Dictionary, “sapiosexuality” refers to being attracted to someone’s intelligence above all physical features. And according to Kristin Tynski, there’s been an “explosive growth” in people searching for the term and identifying as sapiosexual. That’s why she founded Sapio (iTunes), the only dating app that puts intelligence at the forefront as an alternative to all those other “superficial” swipe-only dating and hookup apps. These questions may not reveal your IQ score, but they will give you a chance to showcase your wit, creativity, and other signifiers of your intelligence. 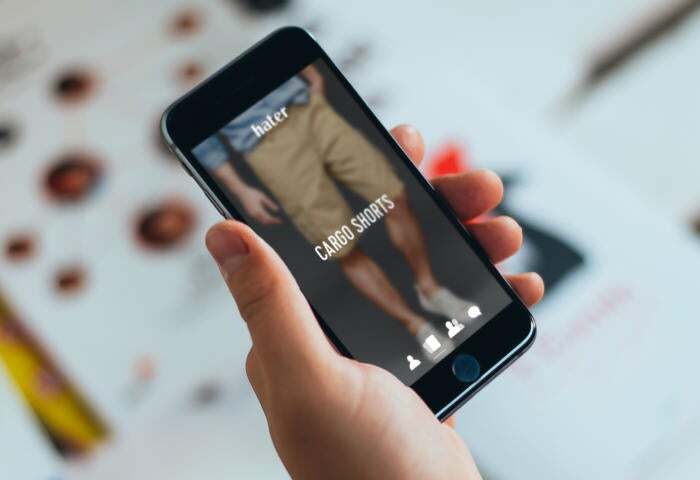 The app has a small but growing user base, according to Tynski, with more than 13,000 active members who’ve answered upwards of 200,000 questions and made over 15,000 matches. When it comes to dating, sometimes you need a professional opinion. 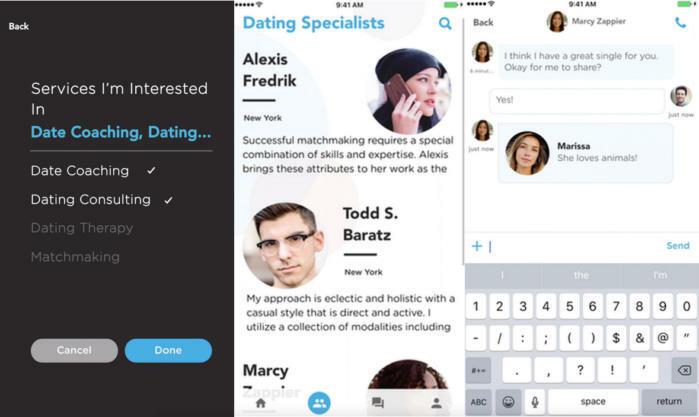 Ona (iTunes) lets New Yorkers search for dating experts that can help them spruce up their online profile or meet the perfect match. These dating experts include matchmakers, dating coaches, licensed therapists, profile editors, and even just your trusted wingmen. It’s basically TaskRabbit for finding love. Once you find the right expert for your dating needs, you can conduct video chat sessions and get real-time coaching. These video chats can be lifesavers, especially if you need an extra confidence boost before a first date or if you’re wondering whether you’re wearing the right outfit. Finding a matchmaker on the app will also connect you with that matchmaker’s network of singles, handpicked for you. Plus, Ona has in-app billing and contracts so that the professional aspect of these services are also as seamless. These professionals are not directly employed by Ona, but the app does vet them all so you can make sure you’re getting sound advice. You don’t have to be a professional matchmaker to play Cupid, however. Spritzr (iTunes) lets you cash in on casual matchmaking. Simply drag and drop photos of two people who you think are compatible, and you’ll get $10 every time you make a successful match. If you’re single on Spritzr looking to get paired up by your friends (or total strangers), you’ll only pay once you get a successful match. Spritzr has been around for a while but incorporating this peer-to-peer payments aspect is brand-new. Spritzer CEO Manshu Agarwal believes this will give app users an added incentive to create thoughtful matches. Klique (iTunes) is a dating app based on the concept of the “group hang.” The app lets you create a group from up to four Facebook friends. This group, or “klique,” can then meet other nearby kliques and start a group chat. If things go well, then the two kliques can meetup in real life, thus eliminating the potential awkwardness of a solo first date. Just in time for Valentine’s Day, Klique has added the ability to match people individually, as well. So, you can skip the whole group-hang scenario if you’re into one profile in particular. Once you’re matched up, you can still invite the rest of your klique to join you for a chat or a meetup. According to Klique CEO Matt Crown, this gives users more freedom to meet people, without having to be tied to your group. Just make sure you’re certain about who you want to pair up with because no one wants to date their friend’s ex. Klique is currently available in Miami, Orlando, New York City, and the Los Angeles area.